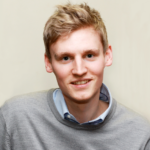 Will Millard is Head of Policy Advocacy at LKMco, working to ensure LKMco’s research leads to action that will improve the lives of young people. He has extensive experience designing and implementing research projects. Will has worked with a wide range of organisations, helping them develop and enhance their strategy and impact. Recently he led the development of the GLA’s strategy for supporting boys’ achievement across London. He has authored ground-breaking research on oracy, enterprise education, and assessment, and has presented at events across the country. He began his career as a teacher. Will lives in Hackney, and is a Clore6 Fellow. 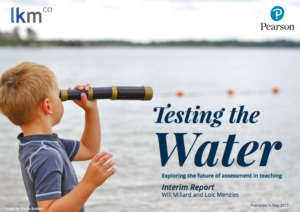 Today we publish the interim report for “Testing the Water,” our consultation on the future of assessment. Commissioned by Pearson, the report explores perceptions of and attitudes towards assessment among teachers, parents, governors and young people. The report is groundbreaking in bringing together the views of such a wide range of stakeholders for the first time. It finds that while assessment is seen as fundamentally important to the processes of teaching and learning, there are significant concerns about how it plays out in practice. Teachers and parents consider assessment, tests and exams to be one of the main issues facing education, and spontaneous associations with assessment tend to be negative. In response, LKMco and Pearson launched the ‘Testing the Water’ consultation in December 2016 to better understand these concerns, and find some answers. This interim report draws together our initial findings from 17 workshops across the country, and over 200 responses to our online consultation. We were particularly delighted that nearly 90% of respondents said they had not responded to a consultation about assessment before. We were also pleased that teachers, parents and governors across the country have taken part in our online consultation, as the map shows. In the next phase we will continue to gather responses through our online consultation and start refining solutions. As part of this, we will undertake and draw on a set of international case studies to explore how some of the problems we have identified have been addressed elsewhere. We will also undertake some national polling, to test and refine our ideas. Adequately meeting the needs of different stakeholders. A particularly important concern was around the commensurability of assessments taking place in different phases, and in mainstream and special schools. Another related to teachers’ professional judgement, and how it can and should underpin assessment, whilst remaining rigorous and reliable. Teachers we spoke to talked passionately about their sense that professional judgements are not valued at present. We will explore possible solutions to these concerns, and the others raised in our interim report, as the Testing the Water consultation progresses. Have your say by completing our online consultation, and share it with your colleagues, friends and family. Find out more about the Testing the Water consultation on the LKMco and Pearson websites. You can Tweet about the consultation using #TestingTheWater, and speak to us @LKMco and @pearson_UK.